The objective of this theme is to have all participating organizations share their thoughts and considerations about the work that they do in border regions, identifying obstacles, risks, good practices, and opportunities for collaborative efforts. According to the United Nations High Commissioner for Refugees (UNHCR) forced displacement reached 65.6 million people around the world by the end of 2016. Every person that has been forced to their country has had to cross a border, baring the economic cost and the risk that it entails. In 2014, a little over 40 thousand people were reported to have died after leaving their country; especially after border control policies around the world became tighter. According to information by the International Organization for Migration (IOM) between 2000 and 2014 the amount of people that lost their lives in their attempt to reach Europe mounted to 22 thousand people. However, without a doubt, the real number can be much higher.  Migration policies based on the detention, deportation and criminalization of migrants, as well as the tightening and externalization of borders, foment grave human right violations and do not take into account the structural causes of forced migration. To this, discourse and dialectics are added, which dehumanize people involved in human mobility fomenting a context of exclusion. Strategies based on the assurance o borders aimed to stop and deport thousands of people each year have had as a result the deportation of approximately 2.8 million people from the United States between 2009 and 2016, whilst Europe deported throughout 2015 533,395 people (Wold Bank). This situation has not been different in Mexico, considering that in 2016 a total of 188,595 deported people were registered, mostly coming from Honduras, El Salvador, and Guatemala. However, border control is not reduced to the bordering space, meaning the limit between countries traced in the collective imaginary of those who go into another country (horizontal frontiers). In their attempt to migrate and seek protection, migrant people and asylum applicants face strategies of migratory control within both countries of transit and countries of destiny (vertical frontiers), areas in which not only migration authorities or security forces can be found, but also the organized crime, as well as an array of discrimination coming from local communities. By virtue of the aforementioned, we propose the creation of four (4) groups that will tackle the following topics and sub-topics, giving place to the topic of borders addressed in both the horizontal and vertical sense. Group 1. Policy of control and border safety against trans-border zones for cohabitation. The border as a trans-border cohabitation zone. How does one build the trans-border cohabitation space? Exchange of experiences between human rights organizations from a border perspective. Strategies implemented to strengthen international protection to asylum applicants. Worldwide articulation strategies to combat the border safety and control approach. Is it possible to establish international criminal responsibility to governments that, with the control and shut-down of borders, foster and promote the deaths of thousands of people each year? Group 2. Detention and deportation in horizontal and vertical borders. Migratory detention as arbitrary detention. Detention as a torture strategy to stop migration and asylum seeking. Why is it necessary to demand the foreclosure of detention centers for immigrants around the world? Argumentation with a human rights focus for both the ethic and judicial aspect. Group 3. Coping mechanisms and social networks for the accompaniment of asylum applicants on the border. Strategies from Europe, Africa and Asia. Strategies in Mexico-Central America and Mexico-United States. What to do with xenophobia in trans-border communities? Experiences from campaigns against xenophobia from civil society and State institutions. Access without discrimination to the economic, social, and cultural rights of migrants, refugees and asylum seekers in border regions (work, heath, housing, education). Experiences in the construction of public policies. Rodríguez, Roxana. Cartografía de las Fronteras. Diario de Campo. UACM, México 2016, p. 24.